Family members have been amazed by the transformation they have seen in Matt. 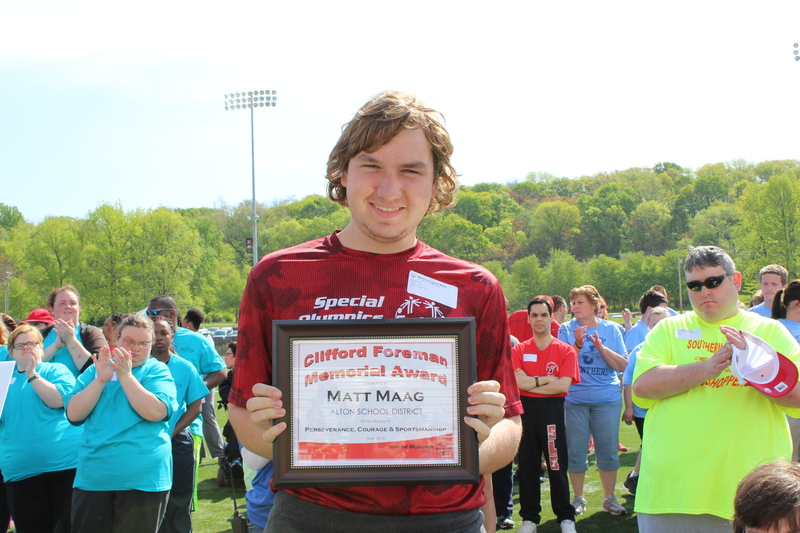 Special Olympics has allowed Matt to evolved and “helped Matt transform into an individual with a voice,” said his mother. Matt has qualified to compete at Summer Games every year since starting, winning 31 medals in 4 years. He earned gold medals at the 2015 Summer Games in 50-meter freestyle, 100-meter freestyle and 4×25 freestyle relay. Special Olympics has brought the entire Maag family closer together. His sister, Madelyne, has become an advocate for Special Olympics and is, along with the rest of the family, very invested in Matt’s successes with the organization. 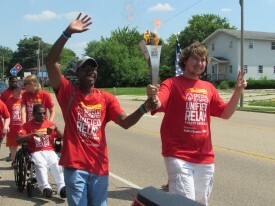 Matt carried the torch during the Unified Relay Across America when it came to Belleville. Outside of being an accomplished athlete, Matt is a recent high school graduate from Alton High School, with the intent to further his education in graphic design at Lewis and Clark Community College in Godfrey for the next two years. He also volunteers for a number of organizations such as United Methodist Village in Alton, Alton Sierra Club, Tour de Cure, Salvation Army and the Women’s Crisis Food Center. As if all of his community involvement wasn’t enough, Matt is also a Global Messenger for Special Olympics Illinois, an opportunity that has allowed him to grow as athlete and individual while sharing with others what the organization means to him. 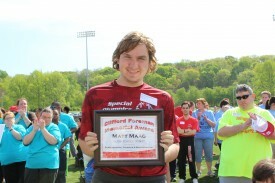 “I think Special Olympics brings people together and it keeps you positive,” says Matt. 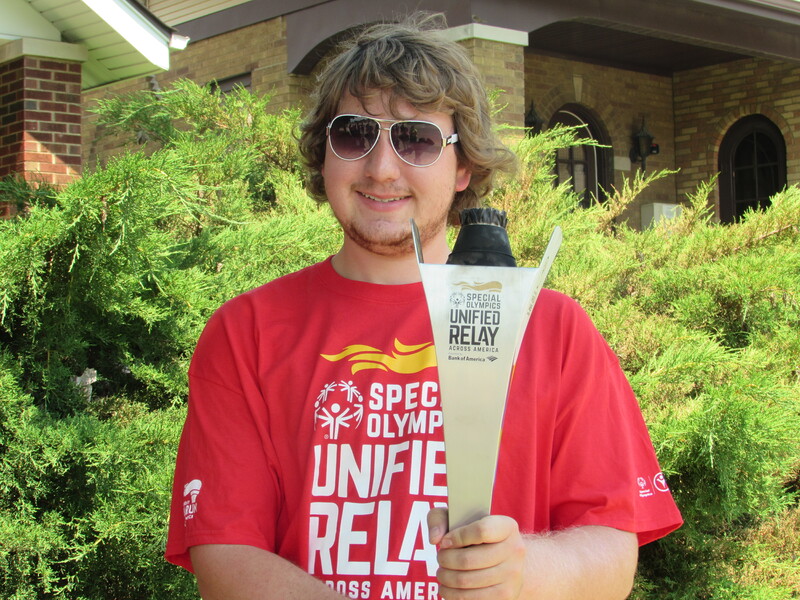 Matt recently had the honor of participating with fellow Southwestern/Area 12 athletes in the United Relay Across America as it came through Belleville on June 9. Matt walked with 12 other individuals on his team in a leg of the relay to carry the torch to World Games in Los Angeles. Matt was overjoyed by this opportunity and enjoyed getting to experience being a part of a group, said his mother. Matt Maag has come a long way from where he first started with Special Olympics. His growth as both an athlete and an individual are what make him the prime example of what Special Olympics hopes for all of its athletes.